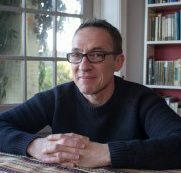 John is a story expert with extensive experience at the BBC and Channel 4 where he has created some of the most memorable characters in continuing drama from Shameless, Life on Mars, EastEnders to Wolf Hall. He has worked in film, documentaries and TV, as well as extensively with brands, businesses and video game developers for over 20 years. During that time, John studied all the different theories of how stories work from folk tales to Hollywood and beyond, presenting his findings in Into The Woods: a five act journey into story, The UK's best-selling book on story structure.